A teenage boy has been missing for a week after boarding a train to London. Police would like to know where they might find 16-year-old Dean Milburn, who has gone missing from his home in Arundel and who has not been since his disappearance on Wednesday last week. Dean is known to have boarded the 5.28pm train from Ford railway station to London Victoria, but his whereabouts since are unknown, police said. Police described Dean as white, 5’8”, of slim build, pale complexion, with short straight dark brown hair, and brown eyes. He is clean shaven. He was last seen wearing a white t-shirt, ripped blue jeans and grey trainers. Officers said they were concerned that Dean’s age makes him vulnerable. 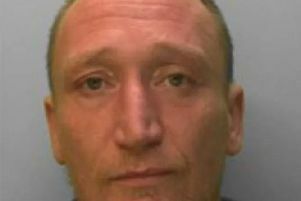 Anyone who has seen Dean or knows where he might be is asked to contact police online or phone 101, quoting serial 1669.